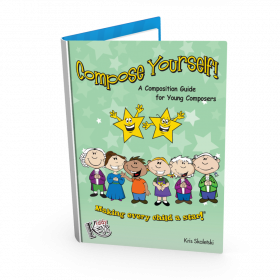 Design your own camp around the Music All-Stars Composers, Coloring, and Composition Activity Book. 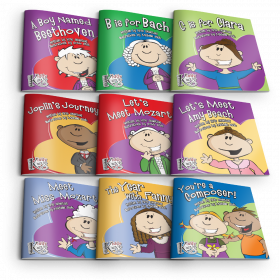 Purchase one book for each student in your class, and easily guide your students through coloring images, life facts, an educational map of each composer's world, and composing. Craft a camp of five or nine days, taking a wonderful walk through the historical worlds of Johann Bach, Nannerl Mozart, Wolfgang Mozart, Ludwig van Beethoven, Fanny Mendelssohn, Clara Schumann, Amy Beach, and Scott Joplin. And let’s not forget the composing star of the day—your student! 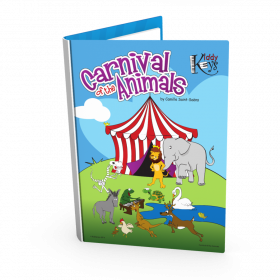 Optional purchases are the nine child-friendly composer storybooks. The last day of camp will be devoted to a Music All-Stars concert of compositions, in which participants will perform their compositions in a fun, relaxed setting. 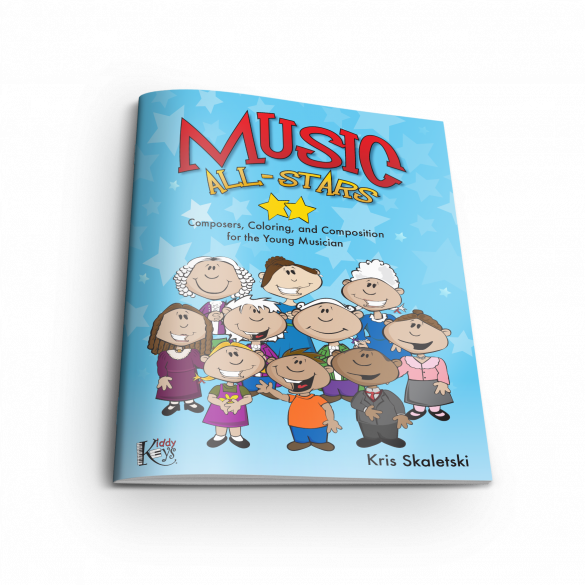 Your students will be music all-stars and feel like they’re right there with the composer of the day in Music All-Star Camp. Ages 4–8.